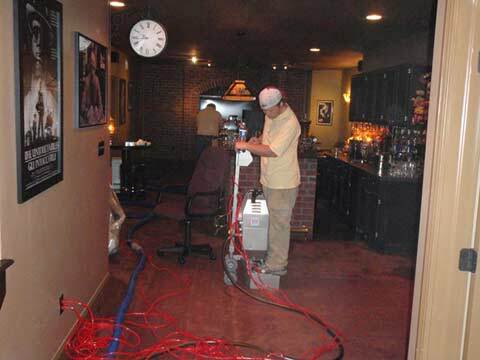 Our water damage restoration process often begins with water removal. From snow and floods to power outages and tornadoes, when your home or business has been exposed to flooding and water damage, we have the state-of-the-art technology and committment to excellence to set things right. Exposed to rain water or snow melt from fallen trees? Basement floods from sump pump failure? We are often called upon for our expert water removal services. Our clients may remember our dedication to complete customer satisfaciton, but it's also our state-of-the-art water removal equipment that allows us to exceed expectations. Our systems allow us to reduce dry times by up to 60%. A basement water removal job. We used our truck-mounted water extractor and a hydroX water extractor in this water damage restoration project. A burst pipe at a multi-story building flooded the floor. 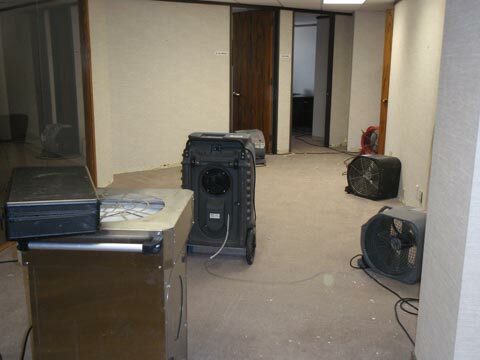 Here you can see our Vortex drying equipment, a structural drying step in our water damage restoration process. 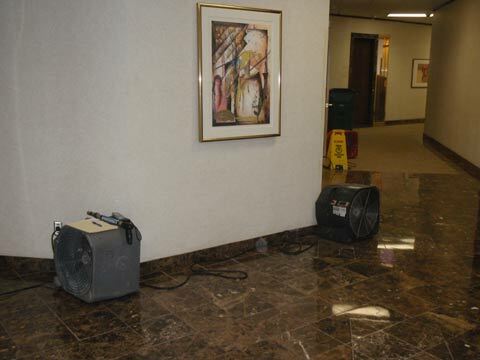 A burst pipe at this multi-story building caused water damage to hallways and offices. We are using our air movers and heat exchangers to quickly fix the damage.